From the moment you walk into Fred’s, you know you’re in for an amazing time. Located in Ann Arbor, this stylish cafe is filled with good vibes and even better food. The vibrant décor provides the prefect scenery to chow down on some healthy eats. The menu has a variety of yummy food made with organic ingredients- from ‘toasty’ items like the Breakfast Burrito and Avocado Toast to lunch items such as the Bulgogi Cheesesteak and Veggie Burger. 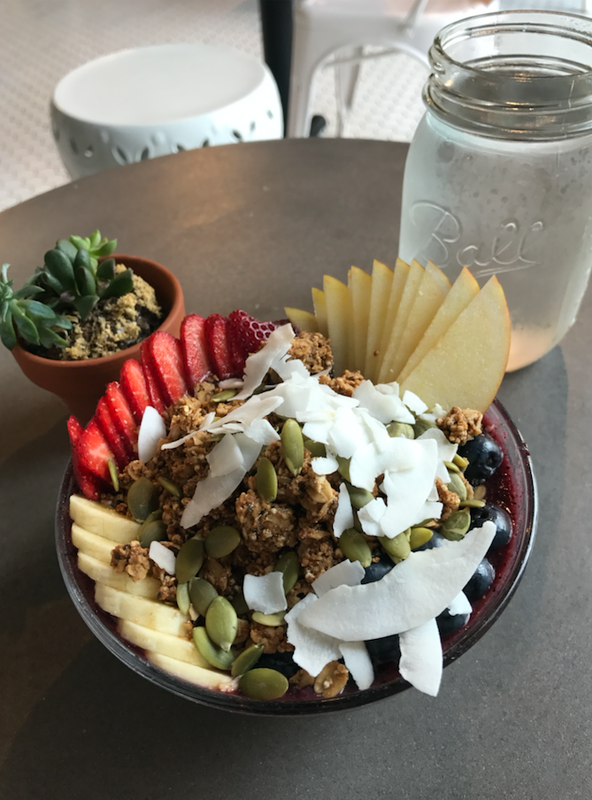 You can also choose from fresh smoothies, acai bowls, juices, salads and sandwiches. With Stuffed Avocado and Sweet Potato Nachos on the menu, there is no shortage of creative and delicious food at Fred’s. Between the inviting atmosphere and the tasty dishes, Fred’s is an unforgettable experience!